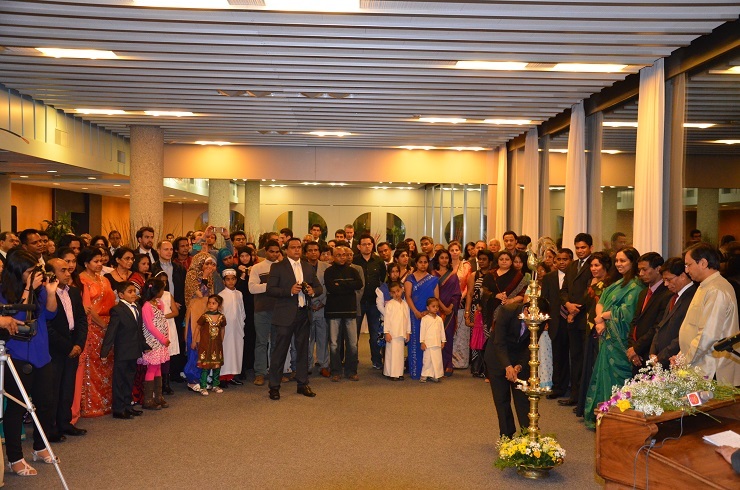 The Sri Lankan community resident in Geneva and the environs came together to celebrate Sri Lanka’s 66th anniversary of independence at an event organised recently by the Permanent Mission of Sri Lanka to the UN in Geneva at the ILO premises. With over 250 Sri Lankans under one roof, the event was testimony to the country’s rich and multi-faceted heritage. Addressing the gathering Sri Lanka’s Permanent Representative to the UN in Geneva, Ambassador Ravinatha Aryasinha noted that when one watches the international news today, it is a great solace to see that Sri Lanka is nowhere near the headlines. More importantly no more lives were being lost on account of terrorism. He said that one tends to forget this reality despite possibly all of those present having lost loved ones in the conflict which lasted almost 30 years. The end of the conflict had also heralded an era of unprecedented socio-economic development and had paved the way for reconciliation to heal the wounds of the past. Noting that however the negative projection of Sri Lanka by those with vested interests continue unabated, Ambassador Aryasinha said this was a challenge all Sri Lankans would have to continue to confront with resolve for a while longer. 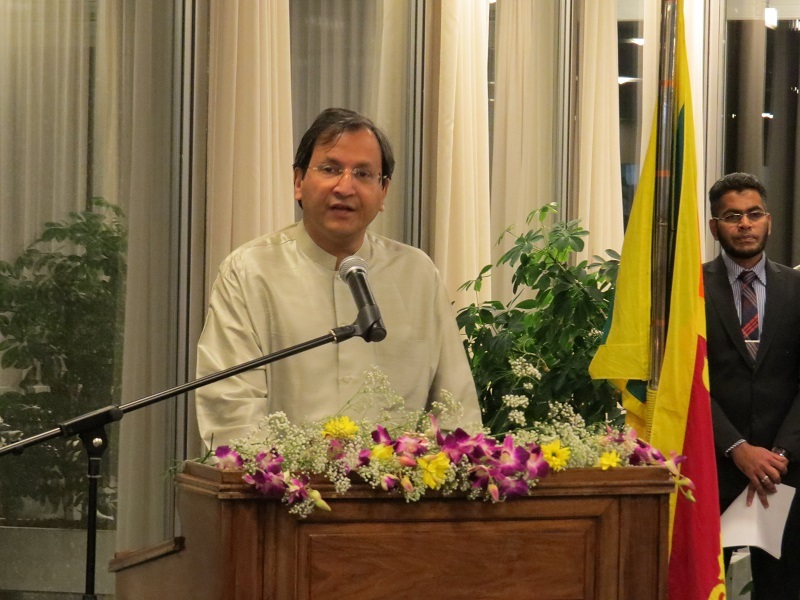 Ambassador Aryasinha recalled his appeal made to the community one year ago, to reflect on what more the expatriate Sri Lankans could do to contribute towards the development of the country and to counter the negative narratives being propagated – by clarifying genuine concerns and debunking falsehoods. He said “one year later, having come to know some of you better, the work you do, and the commitment you have for your country, I feel strengthened in the resolve that these obstacles are not insurmountable and that these can be overcome by working together”. He said some had played a catalytic role in persuading friends and associates to visit Sri Lanka and to invest in Sri Lanka, while others had sought to contribute their expertise for the betterment of the motherland. 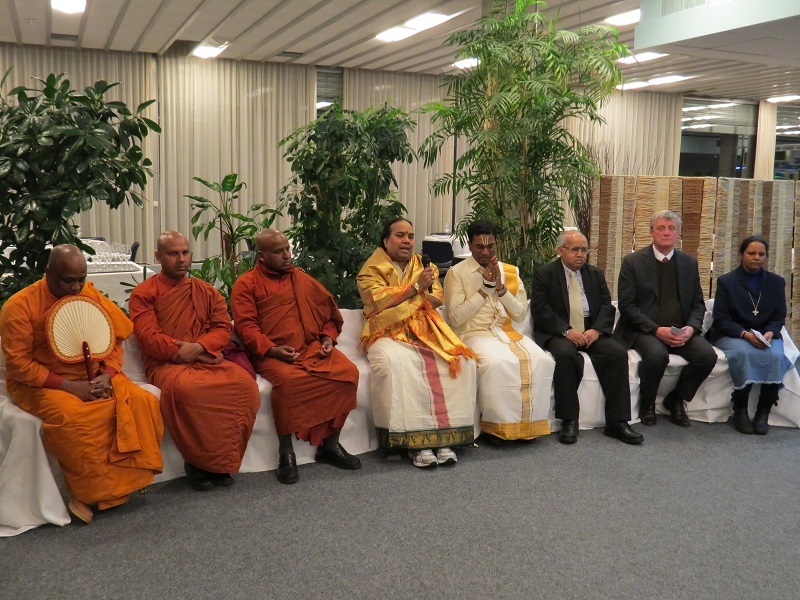 There were also many within International organizations and other agencies based in Geneva who had leveraged the energies of these organizations towards the benefit of Sri Lanka and Sri Lankans. Ambassador Aryasinha said “I am also greatly encouraged by what I have seen particularly over the past few months, where across Switzerland, some valiant Sri Lankans, found the time, resources and the energy to make their presence felt, by turning up and challenging the many one-sided events being organized in this country by pro LTTE elements”. He hoped that the actions of those who had made this difference will inspire all, because these are challenging times for Sri Lanka, and particularly challenging times need particularly committed and courageous men and women to step up to the plate. Hundreds of thousands of Tamils are living in Geneva but NONE for this important event. Typical! A busload of Tamils from SL are in Geneva now including some TNA and NGO clowns. NONE for this important event. VAMPIRES! This entry was posted on Sunday, February 16th, 2014. You can follow any responses to this entry through the RSS 2.0 feed. You can skip to the end and leave a response.